My desjardini tang is beautiful but he has worn out his welcome in my tank. My tank is a 6 foot long tank but I think he needs something bigger (or maybe he is just a complete jerk). He has always been a little feisty but he is now frequently attacking my copperband butterfly for no reason. Luckily he is biting and not hitting him with his tail, but he needs to go. He is also harassing every fish in the tank, but not nearly as bad as the copperband. I thought tangs only had issues with other tangs but this guy has issues with every other fish. After that glowing endorsement, he is free to someone with a 180 or larger tank. If anyone feels they have a big enough tank or other tangs that could put him in his place, let me know. He was quarantined, but there are fish in my tank from when I did not QT everything. I have never seen signs of disease on him, but I would prefer whoever gets him QT so I do not feel bad if something happens. I am not expecting a big response here, but I thought I would offer before I take him to the LFS where I'm sure they will sell him to an unsuspecting buyer. Here is the butthead. Man that’s a bummer! 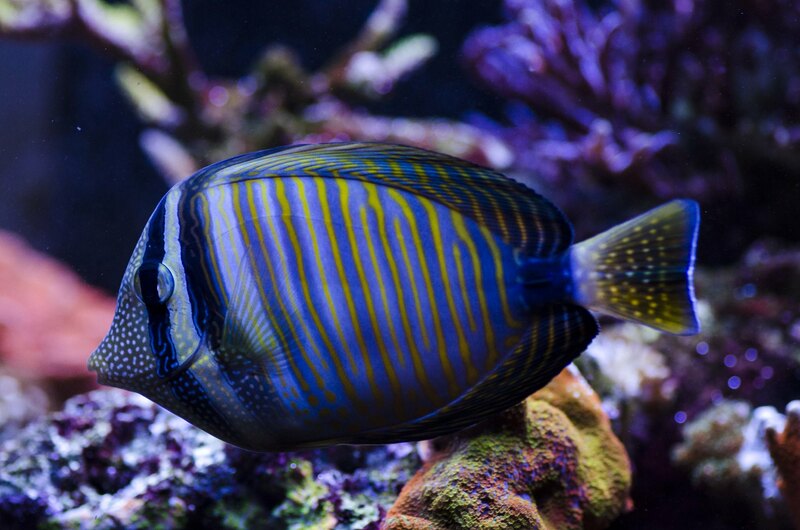 Such a beautiful fish! I’m not quite ready for the upgrade yet. Yeah, it's a shame Jan already has one. That would be a perfect home with that big tank and so many huge tangs to keep him in his place. I spent three straight weekends with various traps and nets trying to catch the fish with no luck. Yesterday I watched him viciously attack my copperband and I was on a mission after that. I chased him around with two nets for an hour and a half until he was all beat up and exhausted and then he just swam right into the net. I put him in a bucket with an air stone and small heater and he was dead an hour later. I feel guilty because I was unsure if a 6' x 2' tank would be big enough when I bought him. I should have left him at the store last year. The copperband is pretty beat up and was hiding in the upper back corner of the tank last night. Watching me chase the tang for that long probably didn't help his stress level. Hopefully he recovers or this will be an even worse situation. This has been a terrible year of reefing for me so far. All times are GMT -4. The time now is 08:16 PM.